Practices that succeed are ones that not only have a compelling treatment or service to offer, but have a thoughtfully developed brand strategy to support it. Branding should be at the heart of your dental practice, a strong dental brand helps with patient engagement, communications and brand recognition. Your brand is a crucial part of marketing your business and enhancing patient experience; it's the face of your practice, and your corporate identity. Branding and design give a good first impression to any potential patients, long before they've even met you. In a world where image is everything, it's vital that your brand accurately reflects your attitude and ethos, a strong brand with great dental marketing can make a huge difference. 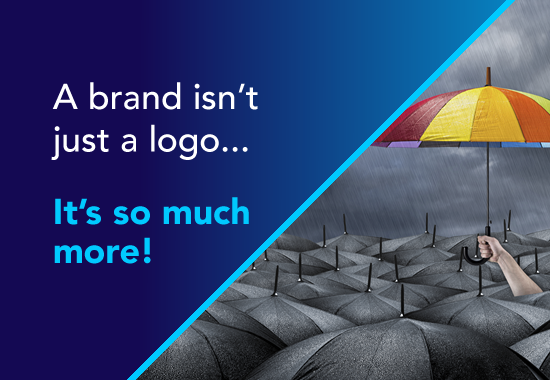 So getting your brand right is fundamental - It's your complete visual identity. We can work with you to explore just what kind of identity you want to portray, and then deliver a complete brand solution that ticks all your boxes. We help practices develop their own unique identity and voice through strategic positioning, print collateral, logos and consistent messaging across all marketing channels. Your logo symbolises the identity of your dental practice and is a visual representation of who you are and what you stand for. Your logo can create the very first impression people have of your practice, we create logos that are visually appealing, incorporating colours, fonts and design that complements both online and offline marketing. Your logo is important when attracting new patients; it can capture attention, spark interest and build credibility. The most important stage of any logo design process is the brief.. It's our job to find out exactly what you are looking for; the brief is our compass, keeping you on the correct path and allows you to measure how successful the project is progressing. Taking onboard the information in the brief, the research that we've collated and your feedback we start creating concepts. We are here to guide and advise; but our focus is to create a bespoke logo that works for you, one that you will love and can be proud to use. Always think of your practice as your brand, because that exactly what it is from a business perspective and as a business you must keep up to date with marketing and branding to keep ahead of competitors. We can write content for your website, brochures, social media and any promotional materials you might like to use. We will speak to you to get a feel for your practice, see how you communicate and match your personality within your marketing materials to keep your messages consistent and correct. Knowing what your patients want from their dentist and catering to those needs within your branding means that their questions are being answered by you before they go to the trouble of contacting you or making a list of suitable practices to suit their needs. The last thing you want is to blend in with competitors, branding gives you a chance to shine. Your brand must express your passion and highlight your desire to embrace marketing within your practice. Failure to understand technological changes and the impact consumer behaviour has on your practice can have a detrimental effect on your branding. Leadership status should be your end goal and branding should cater for this goal in all ways. We produce tangible and creative collateral to create a positive reflection of your practice that’s literally in the patient’s hands. We personally work with you to create materials that are bespoke to your practice and help you stand out from the crowd wherever you are. Brand continuity across online and offline will ensure that patient experience is consistent and professional we focus on creative designs and clinical attention to detail. All literature created adheres to GDC compliance and our committed team of experts will work to ensure that your unique practice personality shines through at all times.